"This postcard gives a romantized [sic] image of people (family). 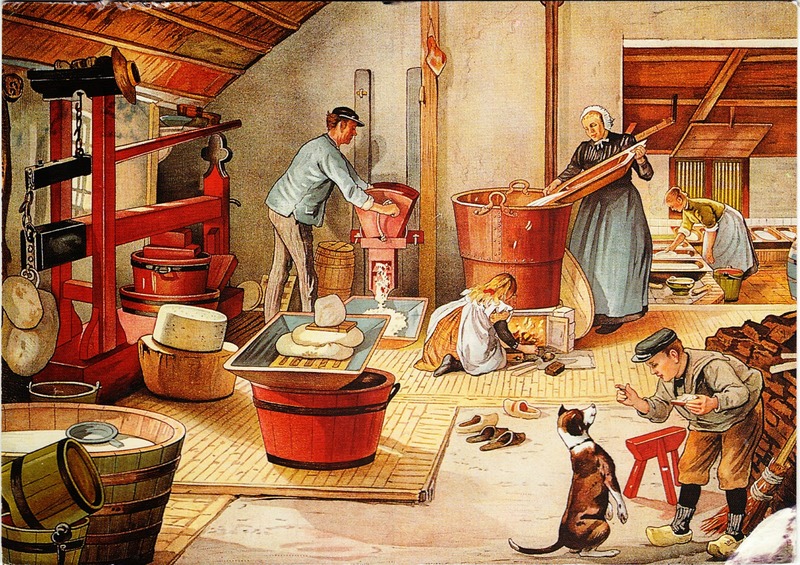 They are making cheese at home about 100 years ago. The illustrator is Cornelis Jetses, very well known in the Netherlands." Jetses lived from 1873 until 1955. Many of his best-known illustrations were for textbooks. He also designed book covers. This Dutch-language website by Dirk Sellis (which you can have Google translate) contains extensive material about Jetses' life and works. Handy tips from "How to Prevent Spoilage in the Grocery Store"